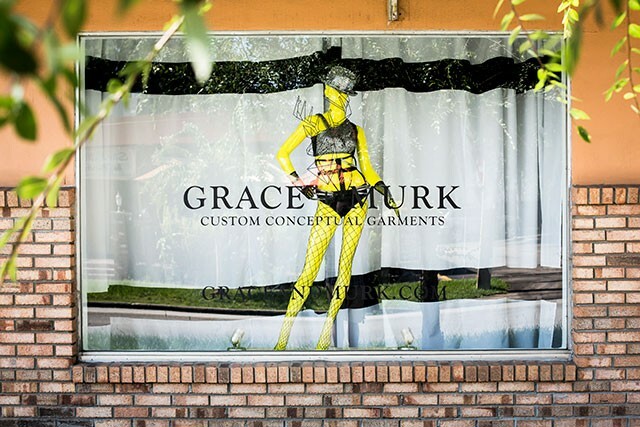 Fashion design company Grace + Murk can make anything. Custom-designed bathing suits for Gay Days, stilt-walking lion men for a street party, a sweater with that fabric you’ve had in your closet for years – if you have an idea, they can sew it into life. Their cute studio in Ivanhoe Village, across from Santiago’s Bodega, is chock-full of crazy garments that would be totally at home in a Gaga video, and the owners, Wayne Fowks and Desi Hilgers, are both gorgeous and super-cool kids that love Orlando and want to be a part of making it a more fashionable place to live.